For the treatment of: - Internal parasites, such as Nermatodes, Capillaria spp. (crop worm), Ascaridia spp., lungworms and gastro intestinal worms. - External parasites, such as mite and lice infestations. 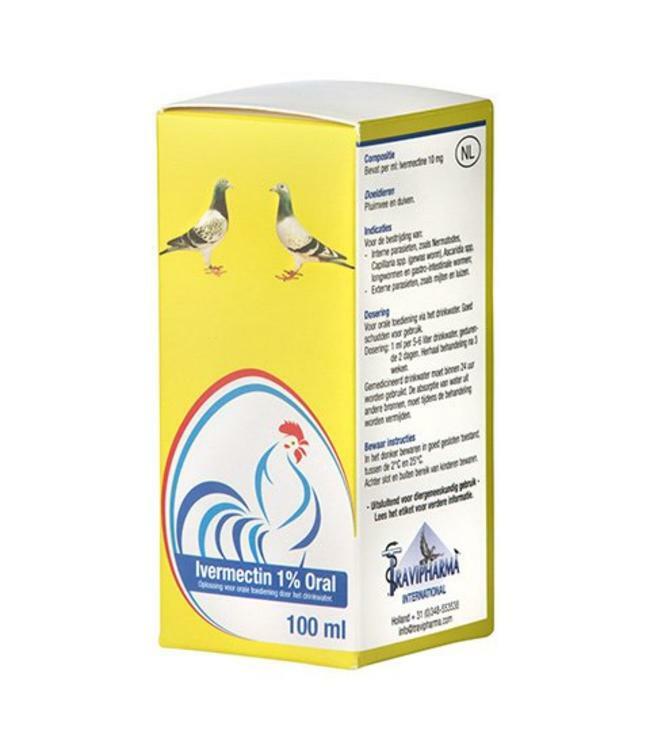 Contains per ml: Ivermectin 10 mg.